Recently, the talks on hair transplants and the way that they are best done have increased considerably. What is nice these days is that plenty of hair clinics decided to lower prices for their procedures of hair transplantation, since the bad economy has considerable effects on the industry of cosmetic surgery. Another aspect is visiting a hair clinic abroad – to cut costs and have big savings of 60% on average in Budapest, Hungary for instance. The cost of hair loss treatments can be as low as £0.69 per hairbreadth which is affordable as compared to average UK prices. When to consider hair loss surgery? If you live near Belfast or Dublin in Ireland you may take advantege of free local consultation with a hair transplant surgeon from Budapest. The same holds true for major UK destinations: London, Birmingham, Cradiff, Manchester, Liverpool or Leeds. These consultation place have been chosen by the Hair Clinic in Budapest to make it easy to get to your hair surgeon within 2-3 hours of flight. Low-fair budget airlines like WizzAir and Ryanair flies male patients to Budapest directly at a discount rate. Besides the affordable cost of the surgery you will get free transfers and accommodation as well as a friendly atmosphere to go through the whole haiir loss treatment. Hundreds of satisfied patients leave their comments on TrustPilot and you can check the before and after images of the hair transplant they received. You can also watch testimonial videos in which Irish and UK patients describe how satisfied they are with the results. Whenever the economy does better, people spend huge amounts of money on laser hair removal, hair implants, tummy tucks and breast enlargement. When it comes to their looks, people will spend huge amounts of money, as long as they feel like their fortune can sustain it. When the credit crunch came and people no longer had money to spend on cosmetic procedures, the industry suffered, so the prices went down as well. How does hair transplant help you? You might be thinking about a hair transplant surgery to treat your baldness problem, and if you are, know that you’re making the right choice. After the procedure is finished, you will notice that the transplanted follicles will start producing hair for two decades or more. The nice thing is that you don’t have to use lotion or cream on your head, so it’s pretty much maintenance free. There is no input from your part when it comes to growing the implant, plus they will look just like the rest of your hair. The price of hair loss treatments should be discussed right from the beginning when you visit the clinic. This is a business, so you need to know the cost of each procedure. Many people have a problem asking about prices and the clinics will take advantage of that fact. Try to negotiate it, by using a stricken look when you hear what the price is and telling them that you don’t have that large of a budget. If it’s possible, they will try to negotiate to get your business, even if it means that their profit will be smaller. Hair loss is one major problem among men. It may be because of aging, genetics or stress. Whatever the reason may be it is something that men prevent from having. Luckily, there are solutions to this problem and one of them is hair implants. Hair implants is a surgery that will bring back your youthful glow and will let youtake the full head of hair you used to have. This procedure started in the 1950s and called it hair plugs. It is where the doctor removes hair follicles from the head and plant or inserts them into the bald spot. Then the hair follicle will reestablish itself when placed in the scalp because it was removed intact. It will then start to grow hair material again. It won’t take long before the follicle reattach itself to the blood supply and start getting nutrients. After a few months, you can have new hair growth just like when you were young. You do not have to worry about getting the hair restoration procedure again for hair transplants continue to grow for years. With the most advanced hair implant treatment; there is no need to worry about rejection of hair because the hair comes from the patient himself. There are two methods in hair implants. The first one is the standard FUT or Strip method where a portion of the scalp where good hair grows is removed. This portion is usually at the back of the head because this area is not noticeable and the hair in this area can still grow back. The patient can also use scar treatment lotion for this area. The strip of the scalp will then be reinserted by the surgeon. The surgeon will do this with the placement of hairs that match the direction of the hair growth. The second method of hair implants is the Follicular Unit Extraction (FUE) or the removal of individual hair follicle without cutting a part of the scalp. There will be only slight wounds in this method and it will heal faster. The hair follicle will be inserted just like in the standard method. The advantage of this method is that hair can be extracted not just from the head but also from the body. FUE hair transplant can help male patients to solve many hair loss problems that medication and other treatments cannot handle properly. If yo want to get back your young, natural look you should opt for FUE hair transplant. 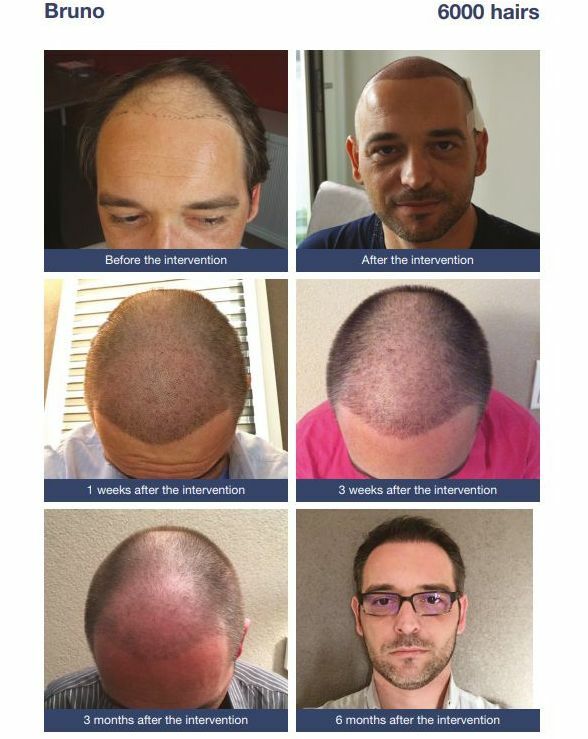 The whole procedure takes 1-2 days only and FUE SafeSystem is painless, non-invasive and affordable hair loss treatment when done in Budapest, Hungary. Istambul is an attractive alternative but Turkey is not yet part of the EU thus no European legislation apply and rules are so much different in Turkey. Hungary is a popular dental tourism destination with its long history in dealing with foreign patients. Our Hair Clinic in Budapest treats about 600 male patients and it is not an assembly line approach: all the patients get utmost attention and care before, during and after the hair transplant surgery. 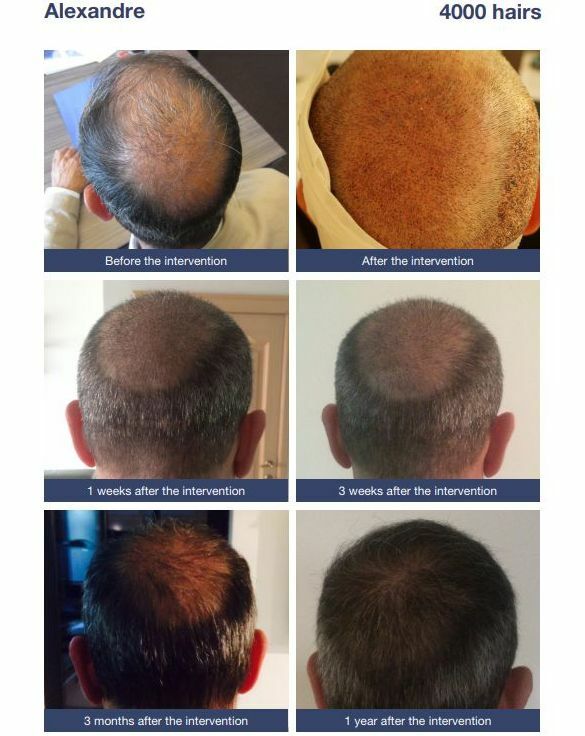 Men choosing our hair clinic solve their hair loss problems in just 10-12 months. Mature and receding hairline (temples) is no longer a problem, hair grafts / follicles placed from the back of the head (donor area) solve a lot of problems that influence self-esteem in men. Thinning hair tops, baldness at the hair crown (vertex) can be restored and our male patients get back their self-confidence and their young look.